Here is the Governor General's website with the full list of appointments. Writers Collective to share conversation with Japanese Canadians and First Nations members of the community. We are working on planning another event @ Kogawa House, possibly for February, that will again bring First Nations together with Japanese Canadian issues. and First Nations pioneer heritage in one dinner! 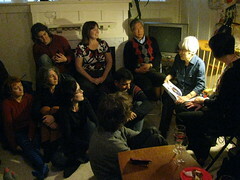 In May 2009, Shelagh helped to host an event with with our inaugural writer in residence at Kogawa House – John Asfour. Special guests were authors Anne Eriksen and Gary Geddes. Gary is an old friend of John's and was one of the first people John called to do a reading at Kogawa House. I already knew that Gary's poetry collection “Falsework” about the building and collapse of the Iron Workers' Memorial Bridge, was one of Shelagh's favorite books of 2008… so it was a natural to invite her to participate. This entry was posted in Main Page on December 31, 2010 by Todd. What if the first Scottish Pioneers celebrated Robbie Burns Day with their First Nations hosts, and the Chinese carpenters they had brought wanted to celebrate Chinese New Year too? her name as special co-host. I have long appreciated First Nations traditions, history and culture. I have traveled to Haida Gwaii, Alert Bay and Kyuoquot Sound. I am blessed to have many friends who have shared their First Nations history and culture with me, especially my mother's cousin Rhonda Larrabee, Chief of Qayqayt First Nations, and her daughter Shelly who accompanied me at my first Pow Wow event this past summer in Squamish territory in North Vancouver. This past October, I took part in the “Paddle for Wild Salmon” that paddled down the Fraser River stopping at First Nations Villages from Hope to Chilliwack, and onto Katzie, New Westminster and Musqueam. on As It Happens. It will be on right after the 7pm news! East of China since 5th Century. A buddhist monk is said to have visited Fou Sang, and documented his trip. The Songhees Nation website documents Scottish and Chinese as being the first non-aboriginal resident and first permanent residents. spending a year with Chief Maquinna, at Nootka Sound. abandoned, a year later, becoming the first permanent immigrants to B.C. This Gung Haggis Pow Wow Dinner will not be the same kind of extravaganza as the present 400+ people Gung Haggis Fat Choy Robbie Burns Chinese New Year dinner at the Floata Dinner, with a 10 piece pipes and drums band, lots of poets and musicians, and multi-media presentations. Instead I will try to replicate the initial smaller Gung Haggis dinners when the first Gung Haggis dinner was in a living room with 16 people, and the first public restaurant dinner for 40 people. Shelagh's Reconciliation dinner events have been pot luck dinners where people are encouraged to share and speak. For the first Gung Haggis Fat Choy dinner, guests were all invited to make contributions that were musical, poetical or culinary. What will happen? We will each be inviting friends to be guests. Some of the friends are known for the musical, poetical or oratorial skills. 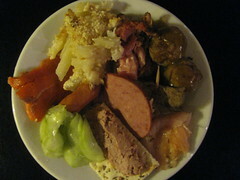 This entry was posted in Gung Haggis Fat Choy dinner, Main Page on December 30, 2010 by Todd. Kilts, glogg and Swedish Christmas Eve. 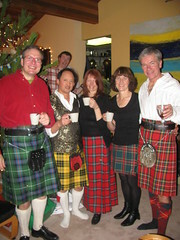 Trish and Allan – bedecked in kilts! too! 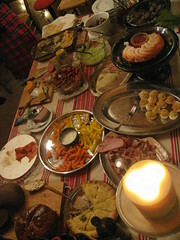 This year was my first sharing Swedish traditions… even if we mixed it up with Scottish kilts and music. 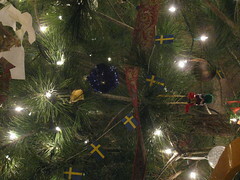 Even the Christmas tree was decorated with Swedish flags! such as Madeira, or spirits such as brandy are also popular. 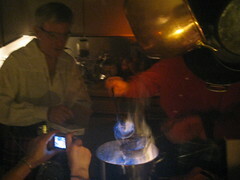 Here is the preparation glogg – or mulled wine. There is a ritualistic setting on fire! Check out this video! I was the appointed lighter of the flame! What an honour!!! The wonderful buffet of food. So much to choose from! 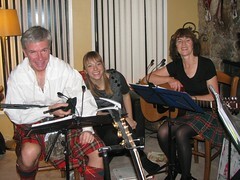 Clan McMordie: Allan on bagpipes, Janet with vocals, Trish on accoustic guitar and vocals. This entry was posted in Main Page on December 28, 2010 by Todd. Hogan's Alley Cafe is a new coffee shop on the edge of Chinatown. It's along the historic “Hogan's Alley” area at the corner of Union and Gore, just at the East end of the block, down from the Jimi Hendrix Shrine @ Main & Union, off the lane. 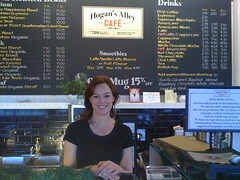 I asked owner Jennifer Halley why she re-named the former Bean Around the World, as Hogan's Alley. Her answer simply was to reflect the historical nature of Vancouver's heritage. Eventually, she would like to add more artwork and artifacts to acknowledge the lost chapter of Vancouver's only Black neighborhood, which was torn down to create the Georgia Viaduct connector to Prior St.
We chatted about the area, and asked if she knew about Black History Month in February. Jennifer said that some of the organizers had just been in that morning and were looking to set something up in the new year, as one of them is Terry Hunter, creator of the Heart of the City Festival with his partner Savannah Walling. I shared with Jennifer, that I had been featured in the recent Heart of the City Festival, when I moderated a showing of the CBC documentary Generations: The Chan Legacy. My great-great-grandfather Rev. Chan Yu Tan, had ministered at the old Chinese United Church, which used to stand at the Northeast corner of Pender and Dunlevy St., before it was torn down in the 70's to make way for condominiums. My grandmother and her siblings, as well as my parents all went to Strathcona Elementary School. The houses they lived in still stand on Pender and Princess Streets. 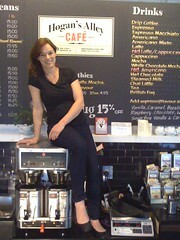 Jennifer takes a pose on top of the coffee maker, after she climbed onto the top of the counter. And yes… she is 7 months pregnant. 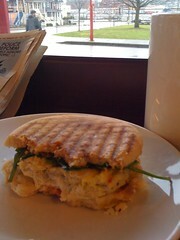 It was a wonderful visit a a new-to-me coffee shop, and a great meeting with Jennifer and her husband Mike! This entry was posted in Chinatown Vancouver, Chinese Canadian History, Food & Restaurants, Main Page, Multicultural events, Vancouver Area Adventures, Vancouver Heritage and History on December 25, 2010 by Todd. Every year I play Christmas music on Accordion. 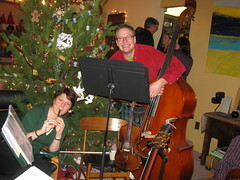 Some are solos… some with singalong… some with other musicians like the Black Bear Rebels celtic ceilidh group. Here's a very cool arangement of the standard Jingle Bells, by Dixie Dean. This entry was posted in Main Page on December 25, 2010 by Todd. (since renamed “The Enrollment Controversy” on-line). to address the community's concerns over the Too Asian? article. quotes fit the theme they wanted. In September 1979, CTV's W5 Campus Giveaway story, similarly misrepresented a story that “foreign students” were taking spots in university that should go to Canadian students. An investigation revealed that the “Asian faces” panned by the television camera, actually belonged to Canadian students of Asian ancestry, or students with resident status, and thus eligible for the program. Thirty years later, “Campus Giveaway” is now used as an example of racist and biased media story, and how the community united to fight against the perceived racism. Meanwhile, three city councils in Victoria, Vancouver and Toronto have passed motions, calling for Macleans Magazine to make an apology. This entry was posted in Main Page on December 23, 2010 by Todd. Think of Christmas in Stanley Park, and we normally think Bright Lights Christmas Train… but if it was December 2006, there was an ice storm that destroyed many trees in Stanley Park. Now imagine that a teen-aged girl and her techno-geek younger brother are going to Stanley Park to lay some flowers in memory of their father who mysteriously disappeared on Christmas Eve last year, while flying his seaplane to Vancouver Island while dressed in a Santa suit. They are supposed to be taking the bus to their Uncle's Christmas Dinner on the North Shore. But their mother is pre-occupied working two jobs. They are each working out their grief in different ways, acknowledgement, denial and false hope. We are introduced to Skookum Pete, a homeless man in Stanley Park, who speaks to the audience, breaking down the fourth wall. Pete talks about the park, the weather, and about the voices he hears – through his fillings! Brian Linds does a wonderful job playing Pete. He is friendly and the audience quickly builds trust, while laughing with Pete at his distorted yet perceptive view of society. 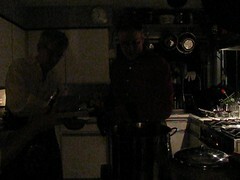 Pete pushes a shopping cart and carries a torch with a cheese grater to protect his lantern. Valsy Bergeron wonderfully plays the older sister Jennifer, on the brink of womanhood, looking out for her brother Josh, played by a young Joseph Gustafson. They easily capture the family dynamics of push and pull, caught between Jennifer's rebellion against her mother, and her wish to memorialize her father. Meanwhile Josh continually asserts that he believes that their father will turn up somehow, while recognizing that their mother is spending lots of her time at work. The Arts Club has really developed a Christmas theatre repertoire for Vancouver. “It's a Wonderful Life” and “White Christmas” are currently playing at the Granville Island Stage and the Stanley Industrial Arts Alliance Stage. They have also brought original theatre to Vancouver for Christmas with Nicola Cavendish's “It's Snowing on Saltspring” and Ann Mortifee's “Reflections of Crooked Walking”, as well as “Beauty and the Beast” in past years. This family Christmas tale fantastically integrates Science Fiction, mythology and Stanley Park icons. It is amazing to think there once really was a signal tower and bunker on Prospect Point, as there houses along Brockton Point. 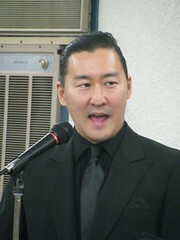 Kangawa wanted to incorporate elements of Vancouver such as seaplanes into the play, to help build Vancouver's own theatrical references and recognizability. And the audience loves it! People can relate to the huge trees in Stanley Park and imagine the trees crashing down during the infamous 2006 windstorm that dramatically re-arranged the landscape of the park. The multi-leveled stage is plain, covered with grays. At first it appears boring. But it soon comes to life, full of surprises as “trees” drop from the ceiling, darkness envelopes the theatre during the storm sequence, and bright lights appear in unexpected places. Stage direction is clever and inventive, making good use of the levels, and the projections into the audience. I am also pleased to note that music is by Noah Drew, whom I've known since he was a child 24 years ago. Drew has matured into one of the city's finest theatre sound composers. His work is subtle and unobtrusive, while being ambient and enhancing to the action on stage. The play development is good. At the end of the first act, the children have been rescued during the storm by Skookum Pete, meanwhile their mother is frantic and trying to reach her children by phone. This perfectly sets up the second act for revelations for each of the characters, as well as resolutions to their issues. There are some wonderful surprises in the second act which I won't reveal. This play is definitely suitable for families, as the young characters carry the play along with Skookum Pete. But as expected of a Christmas play, we are encouraged to empathetically share emotions with the characters, and discover what makes Christmas meaningful for each of us, while recognizing what is also meaningful for others. 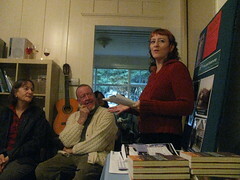 This entry was posted in Literary Events, Main Page, Recent Reviews, Theatre, Upcoming Events, Vancouver Area Adventures, Vancouver Heritage and History on December 17, 2010 by Todd. 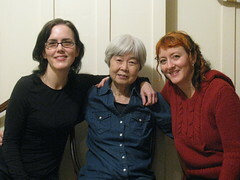 It was a special Christmas present for supporters of Kogawa House, when author/poet Joy Kogawa spoke to Christine and Beth, the daughters of her long deceased friend and fellow poet, Pat Lowther. Joy spoke of light and dark, ugliness and beauty, of carrying things in our lives that won't go away, and how we become stronger through our transitions. The atmosphere sparkled with anticipation and friendly greetings. Kogawa House board members came early to set up food and drinks. Supporters of Kogawa House came to witness a special event, and to come see a rare appearance of the house by Joy Kogawa. 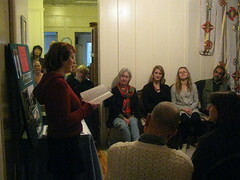 Friends of Christine Lowther came as she launched her new book MY NATURE, and read poems from the book for the first time in Vancouver. 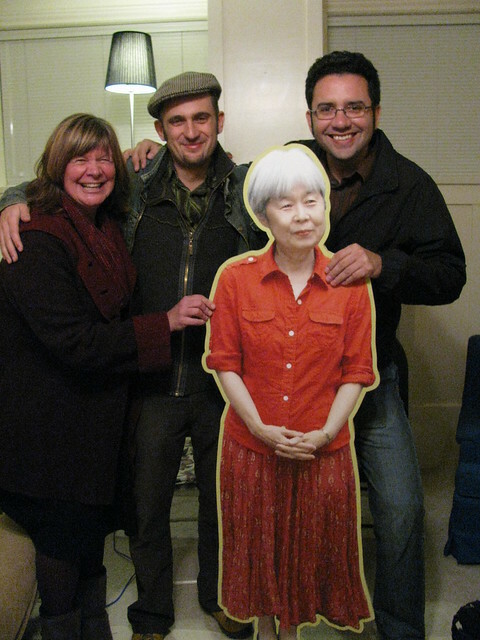 George McWhirter and his wife came because they love Kogawa House, and we love them. Greetings and introductions were made by Todd Wong, president of Historic Kogawa House Society, he introduced the board members and thanked them for helping to create this special event, especially Ann-Marie Metten, the executive director, and chief volunteer. Todd explained that this was a special one-of-a-kind event, because reunions were happening, new friendships were being made and first time events were going to happen. Tamsin Baker, the Vancouver Area Manager for The Land Conservancy of BC spoke about the next stage for the house restorations. She explained that heritage assessments had been done by Donald Luxton and Associates, and we were ready to move towards a restoration of the main floor. The idea is to re-create and restore features of the house to what it was like when a 6 year old Joy Kogawa lived in the house with her older brother and parents, before they were sent off to internment camps in the BC Interior during WW2. Tamsin also shared with the audience that City of Vancouver has agreed to a grant for $25,000 if we can secure matching funds. 2011 will be exciting, as we have waited four years since the purchase of Kogawa House, to be able to take out the added bathroom to restore the size of the living room, and to return the French doors to the Music Room, also to help enhance event space, and to restore the house, prior to renovations by the last owner. George McWhirter was the first poet to read. 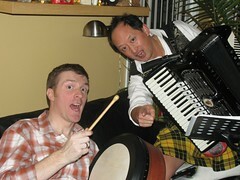 Todd and George spoke about the first time they met, right after George had been named Poet Laureate of Vancouver in 2007, and Todd had invited him to speak at the 2007 Gung Haggis Fat Choy Robbie Burns Dinner, that Todd organizes each year as a shared fundraiser for Kogawa House. George read two poems from The Anachronicles, a collection that moves backwards and forwards through time. reimagining the West Coast, from the view of the Spanish explorers as they explore and see the future simultaneously. McWhirter prefaced his reading by talking about the magnificent sockeye salmon that happened in the fall, and how life must have been like for the First Nations with such bounty. The poem is also cheeky, because it imagines that the Spaniards comment on the the beach where the movie 10 was filmed, and also about Bo Derek. Christine Lowther explained that she lives outside of Tofino, on a float home, and so she writes about Nature a lot. She described the beauty of the last unpaved road in Tofino, and the sealife and beaches. Joy read a poem from the anthology Verse Map of Vancouver, edited by George McWhirter. George explained that after the house had been saved. Joy sent out an email expressing her happiness. McWhirter saw the poetic potential of the words… and arranged it by lines. This was the first time that Joy had read this poem in public. A magic moment. Happy Birthday House! 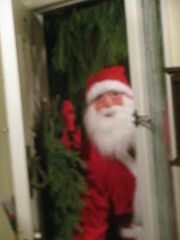 This entry was posted in Joy Kogawa & Kogawa House, Literary Events, Main Page, Recent Reviews on December 14, 2010 by Todd. It was a successful evening, when somebody tells you that they can hear people laughing from down the hall. Co-hosts Tetsuro Shigematsu and Todd Wong had the audience laughing and feeling they were all part of the Ricepaper community. From their opening welcomes, they acknowledged all the writers in the room: Sean Gunn, Faye Leung, Charlie Cho, Lee Su-Feh, Larry Wong, Jim Wong-Chu, Evelyn Lau, Jenny Uechi, Bob Sung, Gail Yip, Ken Yip. 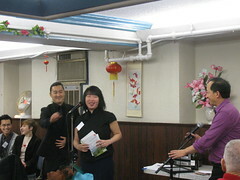 They introduced the Ricepaper editors, Eury Chang and Patricia Lim + Ricepaper volunteers, ACWW Board members, Allan Cho, Ray Hsu, Tetsuro and Todd, as well as the members of the Friend's of Foo's Ho Ho Committee that had helped to organize the event with ACWW, and Ricepaper. Tetsuro worked the crowd talking about the role that Ricepaper Magazine plays, while Todd playfully held up a cover of Ricepaper Magazine with Tetsuro's picture on it – “The Icon Issue”. Todd gave a very quick history of Ricepaper Magazine from it's humble beginnings as a newletter, acknowledging some of it's founders in the room, Jim Wong-Chu, Sean Gunn and Sid Tan, opening up the 15th Anniversary issue, to the Ricepaper origins stories Jim and Sean had written. Todd also pointed out the people that had been profiled in Ricepaper such as writers Wayson Choy, Joy Kogawa, Denise Chong, environmentalist David Suzuki, dancer/choreographer Andrea Nann, and many others. 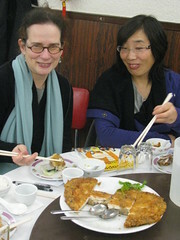 Good old Cantonese Pioneer “Soul Food”, is how attendee Bob Sun described the menu. It was very fitting considering the pioneer history roots from which many of the ACWW and Ricepaper organizers have. Soup was followed by an appetizer plate of garlic ribs, pan-fried squid and deep-fried chicken wings. Pan-fried sticky rice chicken is a Foo's Ho Ho specialty. Mushrooms and Bok Choy, followed the black bean vegetables. Pan-fried prawns were followed by black bean fish, and more dishes. It was good eating all around. During the dinner courses, volunteers sold raffle tickets, people socialized, and also checked out the many prizes such as theatre tickets to Red Letters and Rising Phoenix, bottles of wine, + more. 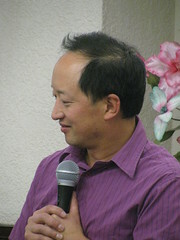 Tradewind books by Paul Yee, were a very successful live auction item. Todd successfully conducted the live auction taking bids from both sides of the room with Tetsuro's help. The book set contained “The Bone Collector's Son” which is the only children's book to be nominated for the Vancouver Book Prize. Also included were The Jade Necklace, What Happened This Summer, Shu-Li and Tamara, Shu-Li and Diego and also Bamboo – which was a nominee for BC Book Prizes Childrens' Literature Award. Lively bidding went between many different bidders… finally going to Vancouver City Councilor Raymond Louie. the book launch of Henry Chow and Other Stories. Evelyn Lau was acknowledged for her trail blazing contributions to the community and significant body of work. 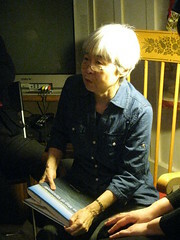 Tetsuro talked about how her works are studied in classes, as well as inspiring to writers. Todd mentioned how as a young teenager she had first met with Jim Wong-Chu to submit her work to Jim's anthology “Many Mouthed Birds” and how she had only two weeks ago, received the City of Vancouver Mayor's Arts Award prize for Literary Arts. Evelyn shared with the audience how strange it is to be considered a community builder when as a writer she spends much of her time alone writing and thinking, but it was so gratifying that her work was able to touch so many. 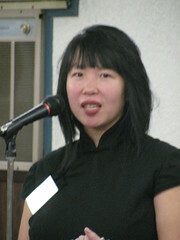 She specifically thanked Jim Wong-Chu and Marlene Enns for sharing time and meals with her when she was a wayward youth. It was a very heart-warming acknowledgement. 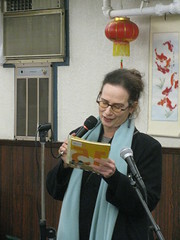 She next went on to read two poems: A Grain of Rice from the 15th Anniversary edition of Ricepaper; and a poem about Sidney Crosby's goal that won the Olympic Gold Medal. Evelyn joked about how her poems are mostly dark, and she wanted to read something happier for the occasion. It was a wonderful evening, as lots of fun was made when Tetsuro led the raffle draw prizes. More than 25 prizes were shared amongst the ticket buyers. The room became smaller and friendlier as all the winners were introduced to the audience, and many of the prize donors were acknowledge. It was a great end for a small organization and small magazine to acknowledge its community, and its community builders. This entry was posted in Asian Canadian Cultural Events, Canadian Identity & Heritage, Food & Restaurants, Literary Events, Main Page, Visual Art and related events on December 13, 2010 by Todd.